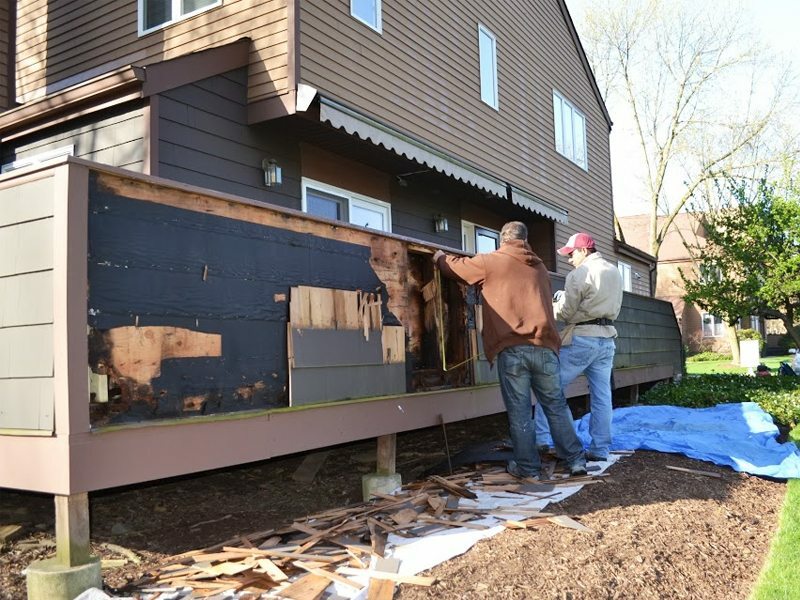 The owners of this Madison, NJ home called in our team at Monk’s to perform repairs on their deck. 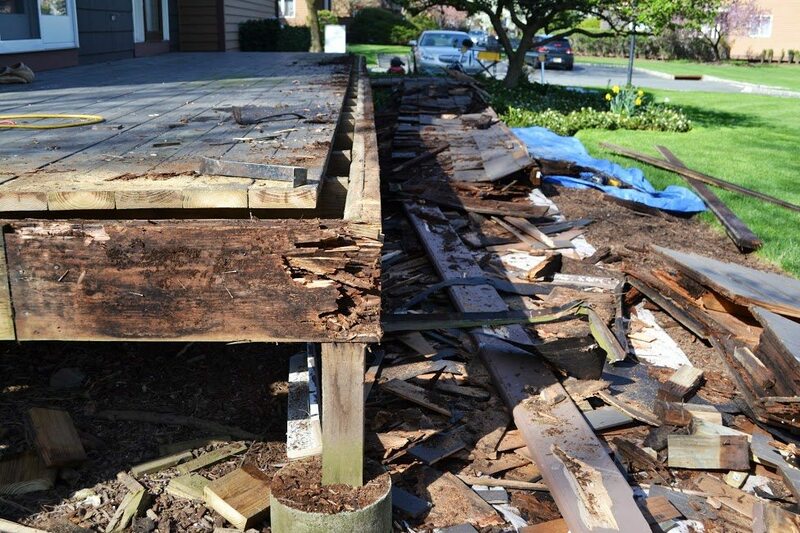 The deck and deck wall had rotted and was in desperate need of a replacement. This particular project posed some unique challenges because the home was a part of a neighborhood association which limited the type of exterior changes owners could make to their homes. Luckily our team at Monk’s was able to work with the customer, staying within the bounds of the neighborhood association bylaws while making the necessary changes to improve the home’s deck. Firstly, the damaged pieces of the deck were completely removed. 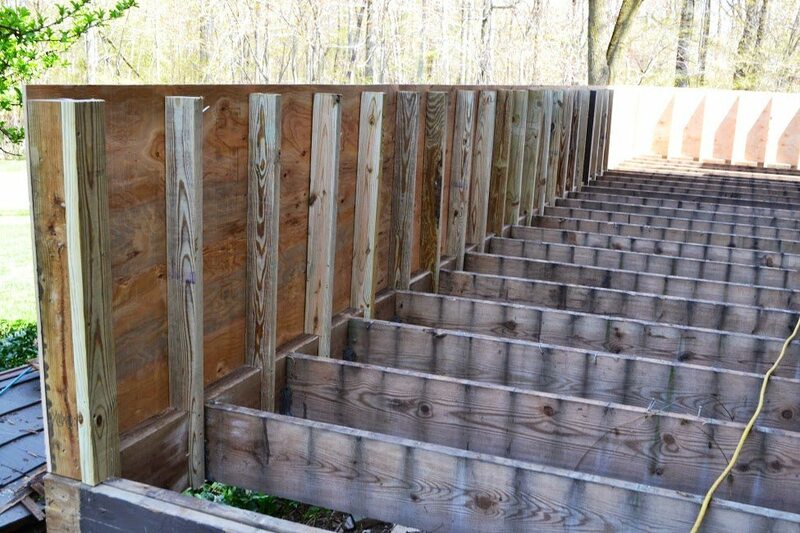 Then, our team reframed the deck. Lastly, our team at Monk’s installed a new cedar wall. We used composite trim for the top of the wall and the new floor board. That is because composite is a great choice for exterior projects. It is a moisture resistant material, meaning water damage and decay is not a problem! We encountered a challenge when we learned that the only deck color that had been approved by the homeowner’s association had been discontinued by the manufacturer. But, we worked hard to collaborate with the neighborhood association to come up with an suitable color and material substitute for the deck repairs. So, trust Monk’s for your next deck project. We are experienced working with multiple parties and can work cooperatively to make sure that everyone is happy with the completed job. 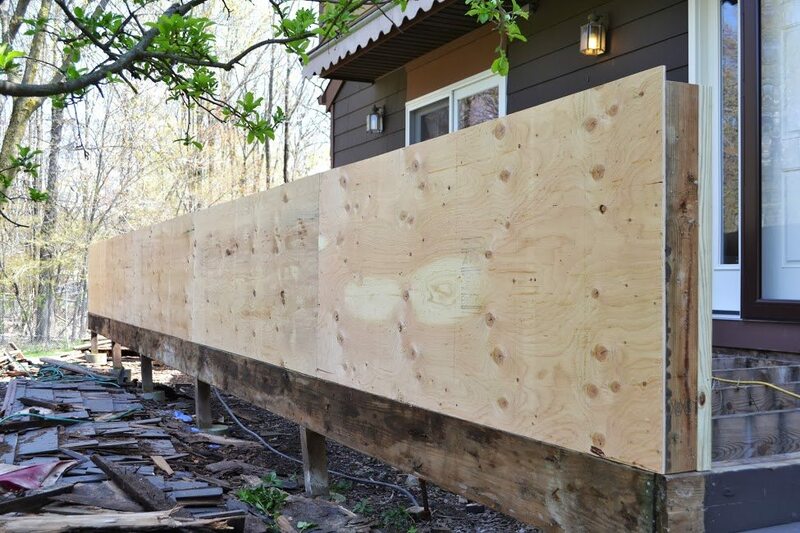 If you are in need of a deck repair, we would like the opportunity to tell you why we think we are the best carpentry contractor in Madison, NJ 07940.